I absolutely LOVE the Toothsome Chocolate Emporium at Universal, Orlando! At the Toothsome Chocolate Emporium, candy shop meets sit-down restaurant meets an amazing theme park experience! From the delectable desserts to the shop full of interesting candies to meeting Penelope Toothsome herself, the Toothsome Chocolate Emporium will NOT let you down. 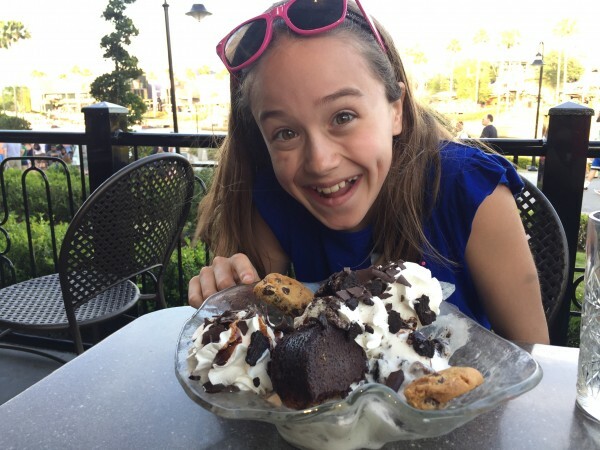 I honestly cannot decide what my favorite part was, although I think I could give it to the AMAZING desserts.My mom and I shared the “Brookie,” which is a brownie cookie topped with ice cream!! Toothsome Chocolate Emporium is definitely a must do at Universal!